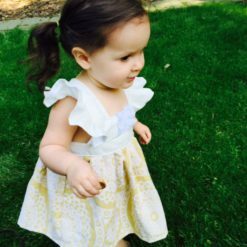 The resort wear Maxi Dress is made of hand sewn cotton fabric over tulle and is fully lined. 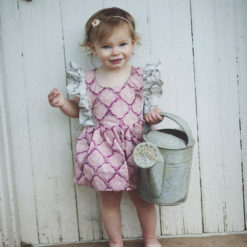 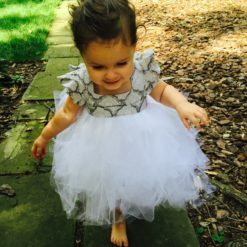 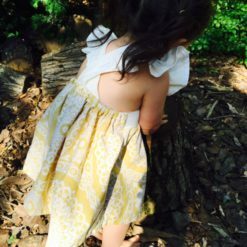 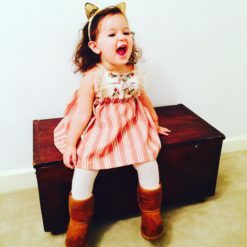 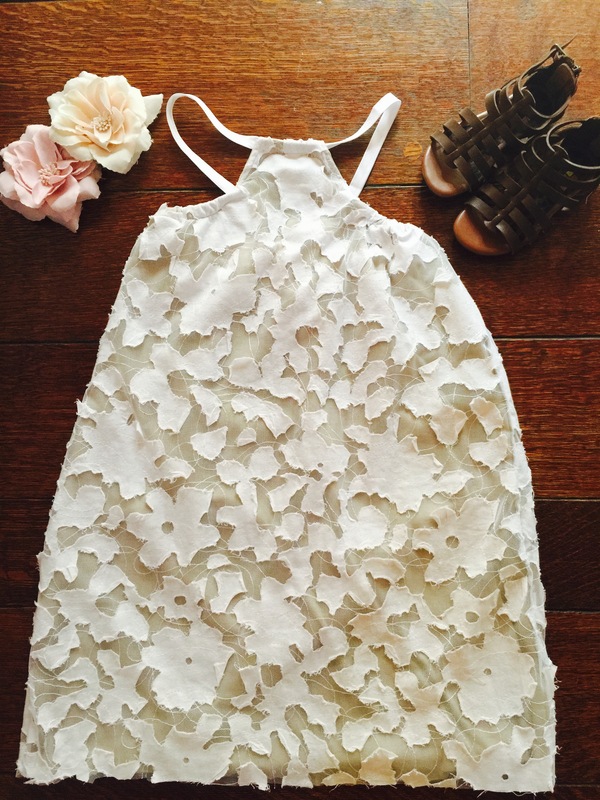 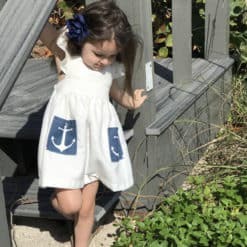 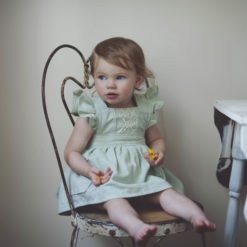 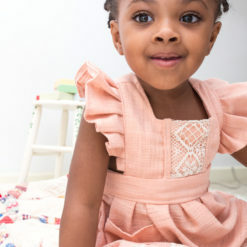 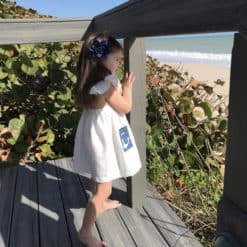 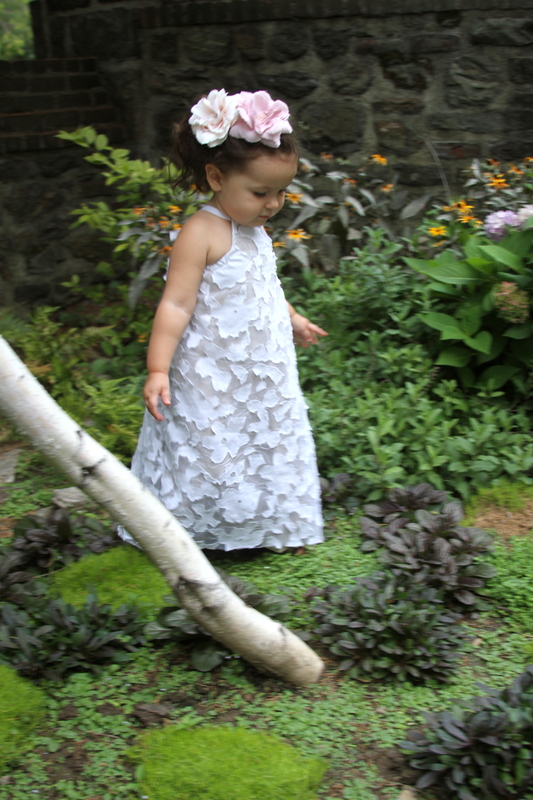 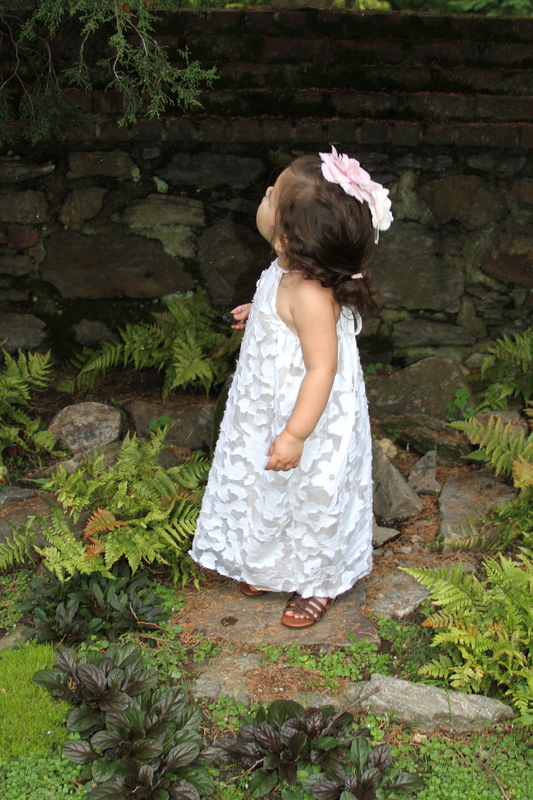 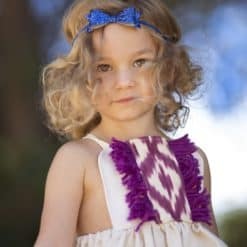 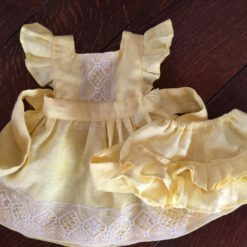 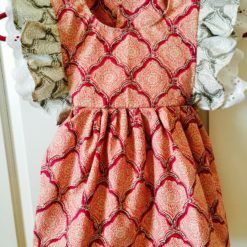 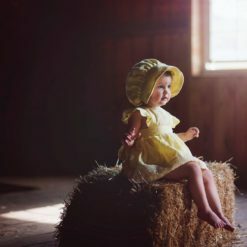 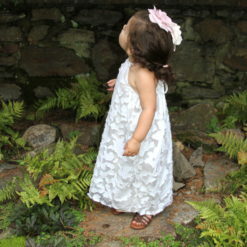 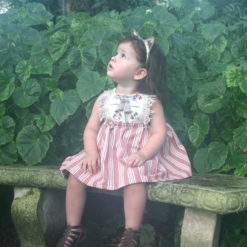 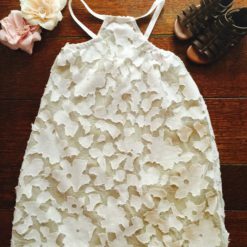 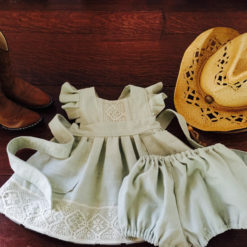 Due to the very limited amount of this dress/fabric, we will contact you after your order for measurements on your child. 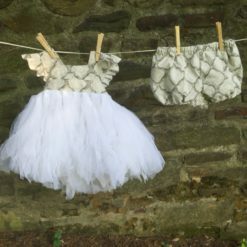 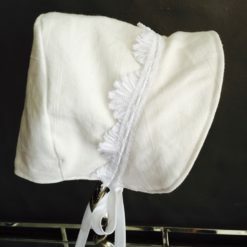 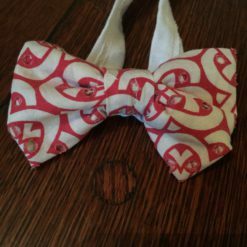 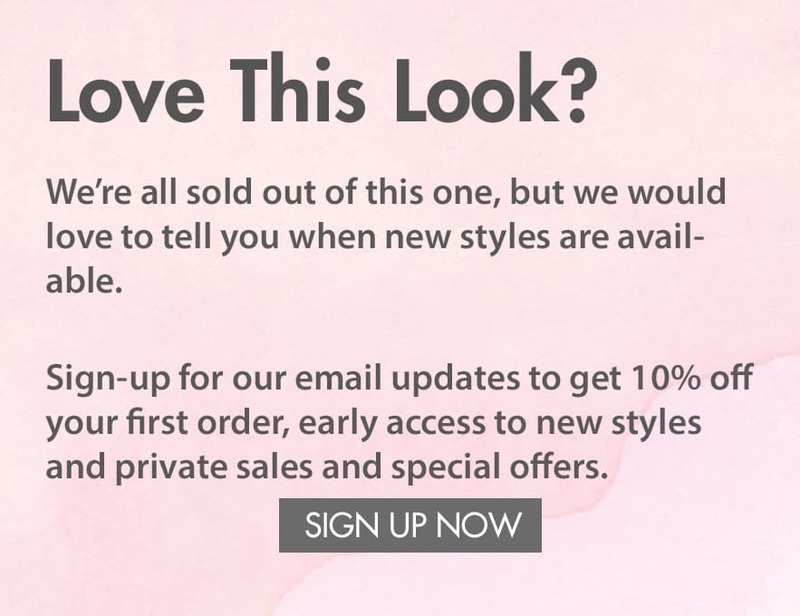 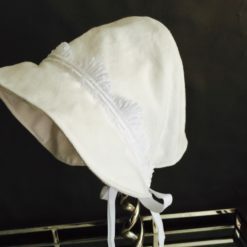 If you order a matching Bloomer, it will come in white.